For years, Nokia sold mobile phones with the slogan “Connecting people,” but following the sale of its phone business to Microsoft, the company is looking for the next big thing. Microsoft’s acquisition of the phone business leaves Nokia with three activities: its network equipment business, by far its largest remaining source of revenue; its patent portfolio; and the mapping and location services business Here, which accounts for less than a tenth of the company’s revenue. Here is where Nokia wants to put the emphasis, with the creation of a $100 million Connected Car Fund managed by its venture capital arm, Nokia Growth Partners. The company aims to build an ecosystem of developers and applications around Here, using the fund to invest in automotive technology and location products and services. The Connected Car Fund will invest in companies in the U.S., India, China and Europe, and brings the total managed by Nokia Growth Partners on Nokia’s behalf to $700 million. 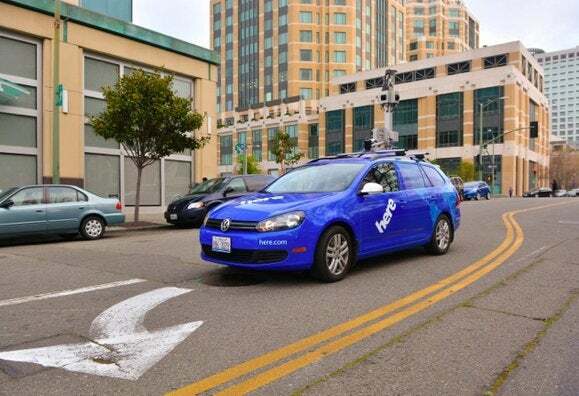 “The connected car is a significant growth opportunity,” Nokia CEO Rajeev Suri said in a statement. Previously head of the company’s network equipment business, Suri took over from chairman and interim CEO Risto Siilasmaa on May 1. For Paul Asel, a partner at Nokia Growth Partners, cars are the new people, with vehicles becoming a new platform for technology adoption very similar to phones or tablets. That insight is not unique to Nokia: The Car Connectivity Consortium’s MirrorLink interface makes Android phone apps accessible from dashboard displays, and versions for other platforms are in the works. It has the support of automotive manufacturers including General Motors, Honda, Hyundai, Mercedes Benz, PSA Peugeot Citroën, Toyota and Volkswagen. Nokia is also a member, as are mobile phone rivals Samsung Electronics, HTC, and LG Electronics. There’s also the Google-backed Open Automotive Alliance, which is promising Android-connected cars by year-end. Apple, predictably, is developing its own system, CarPlay, for putting iOS apps on dashboards and has already signed up Mirrorlink’s automotive backers (with the exception of Volkswagen) to produce CarPlay compatible vehicles. BMW, Ford, Nissan and Opel have also committed to adopt CarPlay, according to Apple.